The article seems credible, but I'm having a hard time believing it's true. 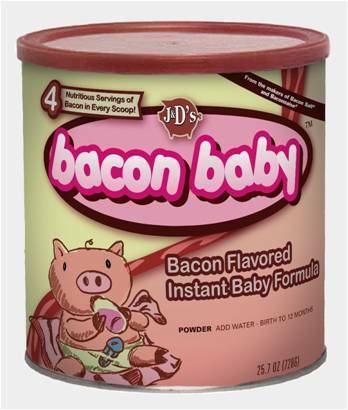 The guys that brought us Baconnaise and Bacon Salt are moving into baby formula because the fat content helps developing brains. It's crazy enough to believe, I suppose.